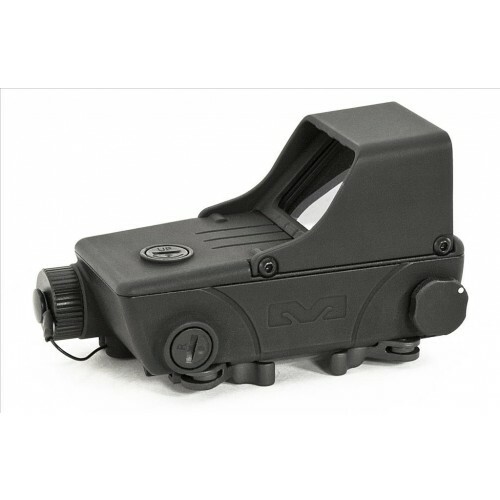 The Mepro Tru-Dot® RDS is an energy-efficient, compact sight, that provides thousands of operating hours while utilizing a single "AA" commercial battery. Featuring LED technology and rugged design, the sight assures reliability under the harshest environmental conditions. With its large display window and clearly-defined Red-dot, the Mepro Tru-Dot® RDS ensures rapid target acquisition with both eyes open. Offering four easily switchable reticle brightness intensities, the Mepro Tru-Dot® RDS fits every scenario. To facilitate night vision operations and long-rage target engagement, the Mepro Tru-Dot® RDS is compatible with GEN II and GEN III NVGs as well as with Magnifying Scopes. Its human-engineering allows positioning of NVGs and Magnifiers close to the sight's optics with no decrease in the field-of-view and without compromising convenient switch operation. * LED Technology for low power consumption. * Auto Shut-off mechanism for additional energy savings. * Four Distinct reticle brightness levels for different scenarios. * Compatible with Magnifying Scopes. * Integral Picatinny Rail Adapter.